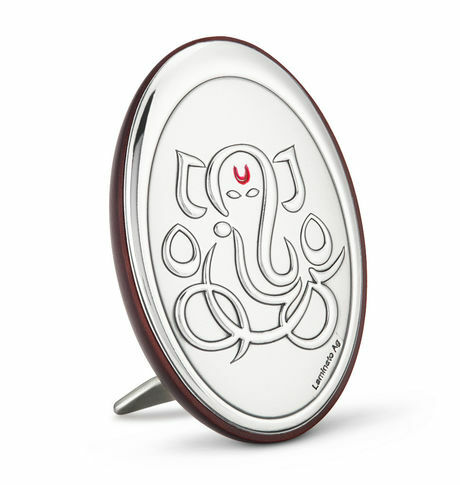 This beautiful Ganesha image in bi laminate silver makes it a must have for any home. This image frame with its resplendent appeal spreads a sense of divinity and calmness within its surroundings. It can enhance the surroundings whether used as a table or shelf deacutecor; or the laminate can also be stuck on the wall of the temple.Bi Laminate Silver. This beautiful Ganesha image in bi laminate silver makes it a must have for any home. This image frame with its resplendent appeal spreads a sense of divinity and calmness within its surroundings. It can enhance the surroundings whether used as a table or shelf deacutecor; or the laminate can also be stuck on the wall of the temple.Bi Laminate Silver. 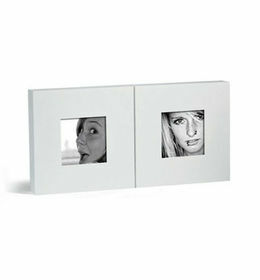 Color:Silver Frame: Wood. Easy to maintain.Cancellation and Return Policy: • Exchange allowed post booking • No order cancellation or Refund transaction allowed at the store.